The new self-titled album by Dream Theater is set for release on 24th of September on Roadrunner. ‘The Enemy Inside’, the first single from the album and the band’s first new music in nearly two years, premieres at USA TODAY right now, so go listen here if you are interested! 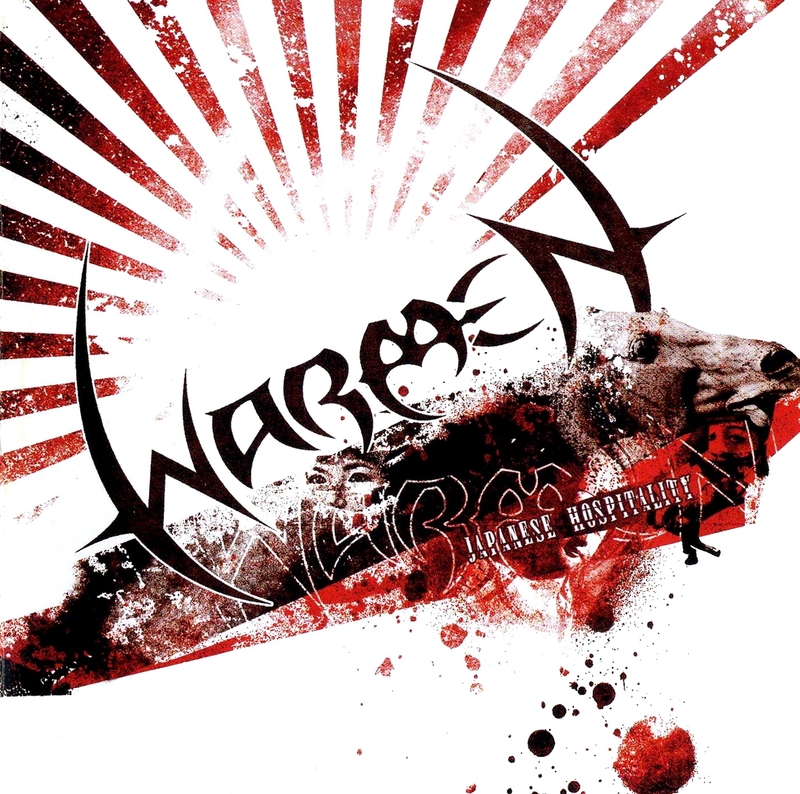 Warmen is a progressive metal band featuring guest vocalists. The first and title track is an instrumental and had me going wow, gimme more. Because there’s no doubt that these instrumentalists know what they are doing. Mind you, founder of this group is Children Of Bodom keyboardist Janne Viljami ‘Warman’ Wirman, born in Finland, who also played on the first Masterplan album. ‘Don’t Bring Her Here’ is slightly better, but still not good; while the Janet Jackson cover ‘Black Cat’ just leaves a big question mark in my mind, why touch this at all, why do it that way, why release it? it’s just another 4 and a half minute torture; Unconditional Confession sung by Waara leaves me with an impression of out of tune vocals and a failed composition. The screaming vocals on ‘High Heels On Cobblestone’, Alexi Laiho’s contribution probably are ok, they go with the music, but personally again, I could do without them. ‘Eye Of The Storm’ featuring Timo Kotipelto and ‘Fallen Angel’ featuring Pasi Rantanen are much more to my liking, and though the material is in no way different from what hundreds other bands are doing at least these tracks come near to being enjoyable. The really high moments on this album are the instrumental parts when the musicians let rip, and these are too scarce and far between. All in all, a weak album, disappointing expectations got high by instrumentals with mediocre to really bad vocals. BTW, the band released a cover version of ‘Easy Lover’ on youtube, sounds like they just added guitars and new vocals to the original track, again I ask myself why, oh why? Suncrown is a truly international symphonic/epic metal band formed in 2011 by songwriter and keyboardist Oleg Biblyi (Ukraine) and vocalist Darren Crisp (USA). Then guitarist Gustavo Bonfá (Brazil) and bassist Ederson Prado (Brazil) joined the group. In July 2011 Suncrown released their first video clip Follow Your Dream. In October Suncrown released a video clip in memory of Ronnie James Dio, Children of the Sea (Black Sabbath cover) with legendary drummer Vinny Appice (Dio, Black Sabbath and Heaven & Hell). Female singer Juliana Furlani (Brazil) and drummer Tim Zuidberg (Netherlands) then joined and in February 2012 another video clip, Believe, was recorded with 2 new members: guitarist Kevin Ellerby (USA) and flute player Uğur Kerem Cemiloğlu (Turkey). In June again a video was released: Eyes of the World, which showed the full group for the first time. In November 2012 the debut CD titled Follow Your Dream was released, and the second album You Are Not Alone is announced for a July release so stay tuned. Not only does this band master the difficulties of having members in four different continents, but also do they sound very skilled and very epic. Six Minute Century Update 5-30-2013. Holy crap boys and girls…we are days away from completion. The mixes are sounding really good. We have some tweaks to take care of but I really think that we can wrap this baby up next week and put it to bed. It has been quite a long haul through many challenges but not only is there light at the end of the tunnel, but we are about to step out into it. I know that many of you have been waiting very patiently for quite a long time for this and I know that you will not be disappointed in the end results. Disforia is a progressive metal band from Utah, USA formed in the winter of 2007. Disforia combines many modern and classic influences, is very meldoic and has some prog rock influences that make itself clearly felt. Nonetheless this is a powerful band that you should take note of. At the moment the band are working on their follow up album and are throwing in a gig from time to time, quite recently they supportetd Sabaton. Quite recently I loaded my car stereo with a USB drive containing loads of music I had downloaded or that had been submitted to me, most of it not tagged properly, so half the time I wasn’t sure what I was listening to. But these guys have created some music that sticks. Melodies kept popping into my head, riffs and licks took my fancy. In the end I went out and started looking for the name of the band – voila, Silent Lapse. Melodies, instruments, vocals, production all work together to make this an outstanding piece of music. Silent Lapse is a melodic progressive metal band from USA. It was formed in 2007 just to play a one-off festival gig dubbed “Arkfest” in their home town of Westphalia, Michigan. They played Arkfest in August of 2007 performing covers, ranging from Breaking Benjamin to Dream Theater and Joe Satriani. After the success of Arkfest, the four decided they would continue on to pursue creating an album based on the original music two of them had been working on for two years prior. Their first album “Birthright” was completed within two years of the full band writing and rehearsing together. Mixing and mastering was done by Jens Bogren (of Opeth and Katatonia fame). The album was met with widespread praise, and the band played many shows supporting it. The band chose to go the Radiohead way and gave (and still are giving) away the album download for free, selling physical copies from 2,63$ up thus creating quite a number of enthusiastic fans. Go on, download the album now! In 2011 a music video for “The Wake” from their debut album was released. In 2012 the band have been touring and also started recording their second album. Birthright is a concept album, you can download the lyrics from the band’s home page.